I have been wanting to put this collection together for awhile and I finally have all of the pieces! This post will be all about building a well rounded wardrobe and the essential or “backbone” pieces everyone should have in their closet. These pieces are used to complete an outfit or be the platform to build one. All the clothing and accessories pictured are the items I feel everyone should have in their closet, granted the choices are not for every body type, just whatever you feel comfortable and confident in! 4. Blazer, whether its black, white, tan, navy, any color you feel fits your closet! You can morph this to fit your style and personality! 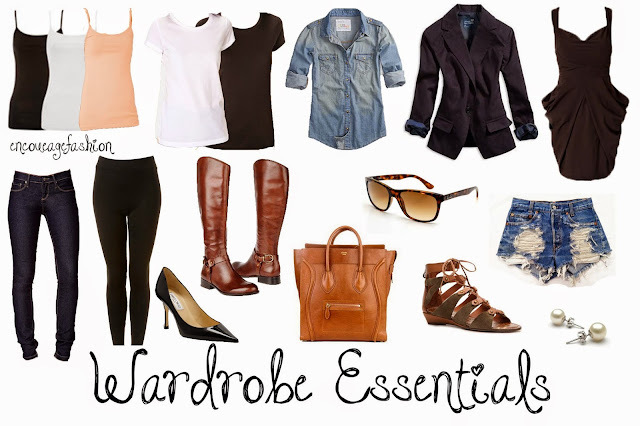 These are just the essentials, you build off of this with the trends and fashion you love. "Spring + Summer Nail Polish Picks"